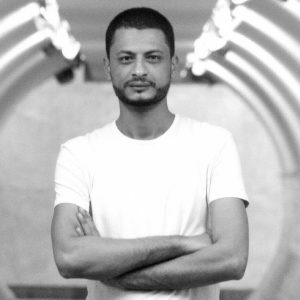 On July 31st , the Military Court of Cairo sentenced the poet Galal El-Behairy to three years in prison and a fine of 10,000 Egyptian Pounds (560 USD) for “insulting the military” and “spreading false news” on charges related to his latest book of poetry, ‘The Finest Women on Earth’. El-Behairy also faces additional charges in a separate case investigated by the High State Security Prosecution for writing the lyrics for artist Ramy Essam’s song ‘Balaha’. On 3 March 2018, El-Behairy was arrested, beaten and tortured after the release of the song. Galal El-Behairy has been condemned to 3 years in prison. The sentence will be carried out only after military chiefs ratify it, which means President Abdel-Fattah al-Sisi and Minister of Defence, Mr. Mohamed Ahmed Zakiy have the power to release Galal. An appeal against the sentence is possible, but only following its ratification – for which there is no date. Until the ratification of the appeal, Egyptian Military Court sentences allow the army to use the condemned for any kind of work. Both public and private petitions (see details below) are very welcome in order to put pressure on the Egyptian authorities. Guarantee the peaceful exercise of the right to freedom of expression in Egypt, including the release of all detainees held in violation of Article 19 of the International Covenant on Civil and Political Rights to which Egypt is a State party. Please send your letters via the Embassy of the Egypt in your country. Addresses may be found here. Read Galal El-Behairy’s poem which has written in prison : available in English and in Arabic.